Winter is approaching and you must have just finished a nice landscaping project for your garden by now. You must be worried about the condition of the garden when it will snow during the winter months, and the temperature will be far from ‘favorable’. The good news is you do not need to worry about windblown snow until the leaves become too heavy and the leaves bent or the branches break. Deposition of snow on the leaves and branches of the plants is nothing to fear about. In fact, you must remember that ice covering is a nice insulator. The leaves and branches will remain protected from extreme cold when the temperature outside is chilling. Given below are some tips, which will help you to deal with snow and ice in the garden. More tips can be found at gardening info. When should you remove ice and snow? Sometimes the natural snow cover looks deep enough to damage the plants and shrubs in the garden. If it is the blanket or windblown snow drift, do not worry much as it will only insulate the plants from the harsh weather outside. Manmade cover of snow is damaging for the landscape. Sometimes, people clean the porch area or the garden path and push the snow using shovels and snowplows to the plants and grassy areas of the garden. These mechanically or manually blown snow are hard to melt and are damaging for the plants and shrubs in the garden. 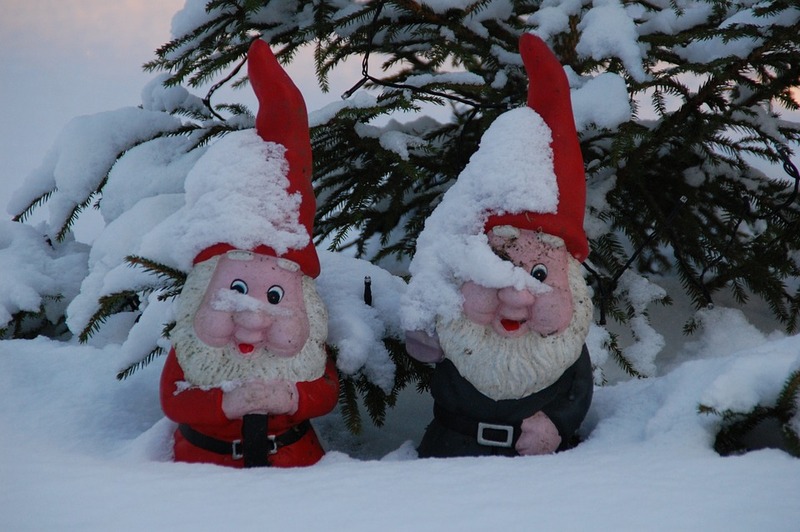 Do not let snow pile up on top of plants or shrubs in the garden. Sometimes there are branches of trees that broke or weigh down due to heavy snowfall. These plants are damaged and need to be pruned once the winter season gets over. Moreover, the snow on these plants can also melt and get the form of devastating ice. If you are worries about snow and ice in your garden, you must be very careful about the snow in the roots. Remove the snow and ice cover from the roots. Sometimes the snow and ice from the leaves falls to the roots and get deposited in the root areas. Make sure there are no shrubs and trees in the area where the snow from the steep roof can fall. If there are any, you can make temporary sheds of wood to protect those. How to remove snow and ice from the plants and shrubs? You can use a light broom or can also use your hands to remove the loose ice from the plants and shrubs. Do not put too much pressure when cleaning the snow and ice from the tender branches and shrubs. They can break or get permanently damaged. Make sure that you disturb the plants and trees as little as possible. Do not let snow and ice accumulate on the leaves and tender branches of the plants and shrubs. You should not wait for the snow to settle deep on top of the leaves and shoots. If possible, clean the snow after every few hours. You must make it a point to clean the snow, but not the ice from the leaves as it can cause huge damages to the leaves and the plants.